I came across this article entitled Why One Veterinarian Quit, Disgusted With a Profession He Once Revered and found it rather interesting. I am sure many show rabbit breeders would agree with the point this person in question is trying to raise. 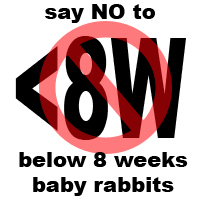 Most show rabbit breeders have no compassion for defects. The competition to produce the best specimens is very stiff and the weakest links are always discarded. I believe pet owners have a part to play in vets being too engrossed in saving unnecessary lives. I have never believe in saving a suffering life. If an animal is suffering, it should be put down humanely and immediately. A couple of years back, my dad found 2 kittens still suckling on their dead and rotting mother. Turned out the 2 kittens were also injured due to attacks from rival male cats. We found them with punctured wounds and maggots were coming out from these wounds. We brought them to the vet and he helped us clean up the wounds. The wounds on one of the kittens were so deep that we thought the only way to end its misery was euthanasia. Its sibling did not make it either as it succumb to the injuries a few days later. We all do have emotional attachment to our pets. To a certain extent, I believe the main cause for humans to have strong emotional attachment to their pets is due to the fact that in this era of complex socialism, pets provide more solace than a fellow human being. The emotional attachment is so strong that sometimes it clouds us from understanding the real purpose an animal is brought into being. Like us, every animal in this world has a purpose in life. A friend once asked me what can a dog do for me. I found it hard to answer his question. His point of view is that we should have an animal in our lives only if it can provide us with some sort of “service”. For example, a dog is suppose to watch and guard properties from trespassers. We have evolved and so have animals. In today’s luxurious world, pets no longer have their roles to play. Most if not all are pampered furry companions. Is this a man made market or we are finding the need of affirmation that only animals could provide? 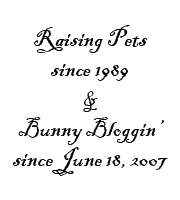 To what extent would you hold on to a pet’s life when it is suffering? Is it merely an attachment or obsession? for me, having and raising a pet animal is a way to appreciate life. if we can treat animal good, it means that we can respect other people well too. on the other side, watching them suffering from ill, disease or death are adding stress to my life too. In the wild, it is the survival of the fittest. So when we domesticate animals, we must also act like nature. We must learn how to let go sometimes. Since the animals are place in our care, we must learn how to govern them well. A balance must be present to ensure that the best are produced and kept for the future.